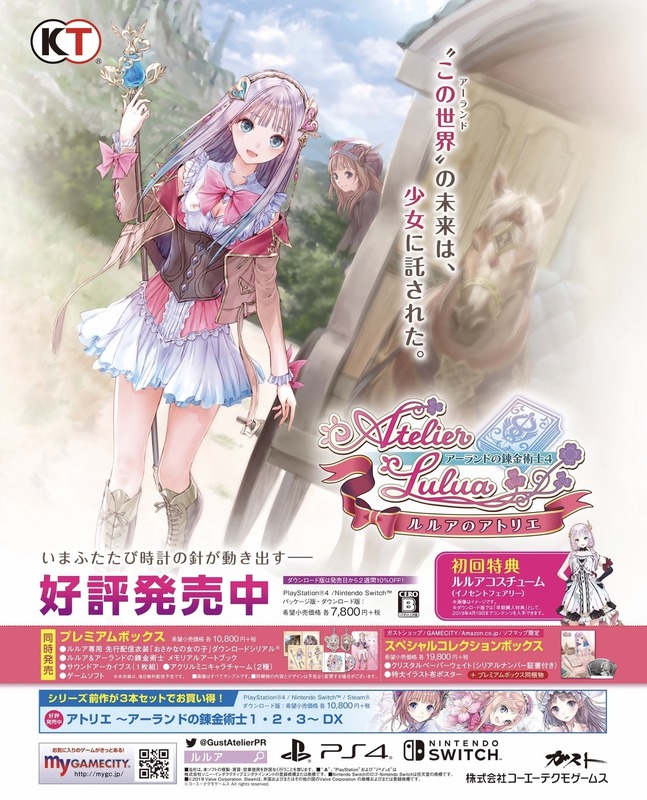 This is the second print ad in Famitsu for Atelier Lulua: The Scion of Arland. It's only slightly different from the previous version, as it changes a few blurbs and removes screens. The previous ad showed the release date of March 20th, 2019, which obviously doesn't need to be included anymore!